If You Are in Pain, Congratulations! You Have a Brain! Many of us suffer from annoying, chronic and sometimes debilitating pain when we try to move. It may be your knee, shoulder or back that restricts your movements and drives you to consume bottle after bottle of ibuprofen or aspirin. You have tried stretching, exercise, physical therapy, heat, cold, crèmes, ointments, supplements; nothing seems to help for very long. What’s going on? Why can’t we get better? Don’t despair. There is hope. The solution is within our nervous system. There have been amazing developments over the last decade or so in brain research. 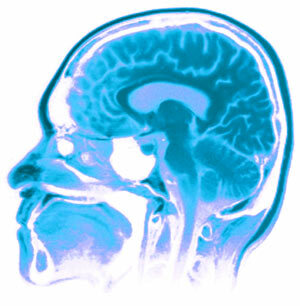 In fact, 85% of what we knew about the brain before 1995 has been proven wrong. The discovery of neural plasticity, which describes the brain’s capacity to grow and shift in response to new stimuli or damage – such as from a stroke, has changed the way we think about pain. Modern neuroscience is telling us that pain lives in the brain and not in the tissue surrounding your knee, back or shoulder. Realizing that pain is a cognitive event opens up new and exciting avenues for dealing with it. The amazing, intertwined, complex network of neurons and chemical receptors that make up the brain has one overriding priority: survival. The brain receives information from our visual, vestibular (balance and spatial orientation), and proprioceptive (the brain’s 3D map of the body in space) systems at an amazing speed and volume. A mechano receptor at a joint is activated and sends its signal to the brain at 300 miles per hour. Somewhere between 11 million to 20 million signals per second are transmitted through the cerebellum and integrated throughout the neural network of the brain. All of this information is assessed and utilized to predict survival based on the pre existing movement maps lodged in the cerebellum. If the brain receives a weak or fuzzy signal from a joint this impacts the movement map. This creates a movement prediction problem for the brain with implications for survival and which elicits an immediate protective mechanism. There may be a loss in range of motion or strength. If the problem around the joint persists, poor painful movements are the result. Eliminate the problem around the joint and this will improve the movement map in the brain which will eliminate the pain. It is possible to get rid of the pain even if the injury remains. It has been estimated that approximately 70% of the adult population has a herniated lumbar disc but less than 1% have pain from it. The body changes at the speed of the nervous system which means that relief from pain can occur almost instantaneously. Improving joint mobility through a series of specific drills and exercises creates a new, improved movement map in the brain which ultimately brings about a cessation of pain. The nervous system manages your entire body. If you need to make changes in pain, range of motion, strength, coordination, speed, agility or any other physical attribute, the fastest path to getting there is to adjust your nervous system. Movement is the fastest way to communicate with the nervous system. The movement tells your body where it is in space, how fast it is moving and what movements are safe. By re-training and “waking up” these nerve endings, you can help your body get out of pain and perform at your true genetic potential. I have seen this first-hand many times when I take clients through our Z-Health Performance System. When joints fail to work properly it is almost always because they have become immobile – either through injury, lack of correct exercise, poor posture or bad movement habits. Z-Health joint mobility work is not stretching. It is a specific system of moving your joints into positions your body no longer allows the joint to move thereby retraining the nerves. Re-training the nervous system solves the pain problem and creates immediate functional changes which induce long term structural improvements. If you are interested in more information about our Z-Health Performance System call me at 401-228-7400 or sign up for your free, no-obligation consultation at www.thatgymguy.com. Hi colleagues, its great article concerning teachingand completely explained, keep it up all the time.